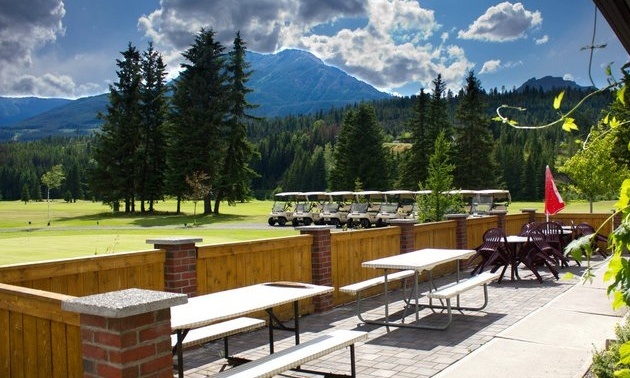 Summer sunshine is one of the things the team at Mountain Meadows is looking forward to this golf season, and Joanne Page of the pro shop said that hopes are high for great weather helping to turn out vibrant greens and fairways on the course. But the plant life isn’t the only thing that’s going to be booming at Mountain Meadows this year. Once again the course is going to play host to a variety of animals such as deer and elk, which can be often be found happily wandering about the 9-hole layout. Mountain Meadows was originally constructed on a natural elk-grazing meadow in the 1970s, so keeping a positive relationship with the wildlife is a very important legacy for the course. While taking the day to enjoy elk-watching and warm sunshine, families can be certain that Mountain Meadows is a place where players of all levels can come to enjoy the game. 1 km south of Elkford on Highway 43. New mounds on Hole No. 1, refurbished clubhouse. Tee Off for Tots June 6, He and She Tournament July 19, Bear’s Paw July 25, Men’s Open August 9-10, Ladies’ Open August 12, Senior’s Open August 20, Club Championship September 6. Ladies Night Tuesday from 5 to 6 p.m., Men’s Night Thursday from 5 to 6 p.m., 2-for-1 special all day Wednesday. Driving range, C&F Chinese Restaurant.